Participants came from Åland (huh? ), Argentina, Austria, Belgium, Canada, Czech, Denmark, Finland, France, Germany, Great Britain, Israel, Italy, Luxembourg, Norway, Slovenia, Spain, Sweden, Taiwan, The Netherlands, USA, and Venezuela. There was enough love and energy and excitement on the isle of Skeppsholmen to light all of Stockholm for those four days. What is this New A Cappella that motivated almost 600 cultists to fly to immerse ourselves in? 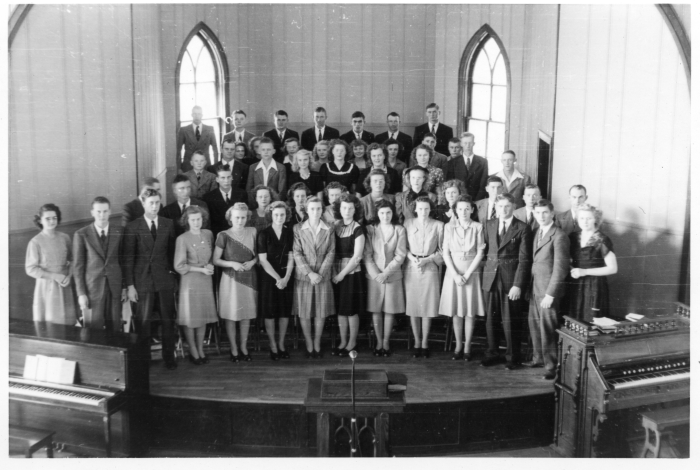 In the second half of the 20th Century, a cappella connoted primarily community choirs of 60-year old amateurs going out for a pleasant evening’s activity to sing classical and musty folk music, often at their local church; or barbershop quartets, as a small, self-contained musical entity. On the professional scene, a few groups such as the Swingle Singers, the King’s Singers, and the Whiffenpoofs performed a conservative repertoire, spiced with the occasional ‘Scarborough Fair’ or ‘Michelle’, not venturing far afield in repertoire or conception from the community groups. In jazz, there were a few vocal groups, ranging in styles from the Mills Brothers to Lambert, Hendricks & Ross to Manhattan Transfer, most of them groupings of individuals rather than a unified group voice, none of them a cappella. In pop, vocal grouping went as far as 3-part harmony in Peter Paul and Mary, half a dozen songs by the Beatles, and Crosby, Stills & Nash. A cappella was non-existent. 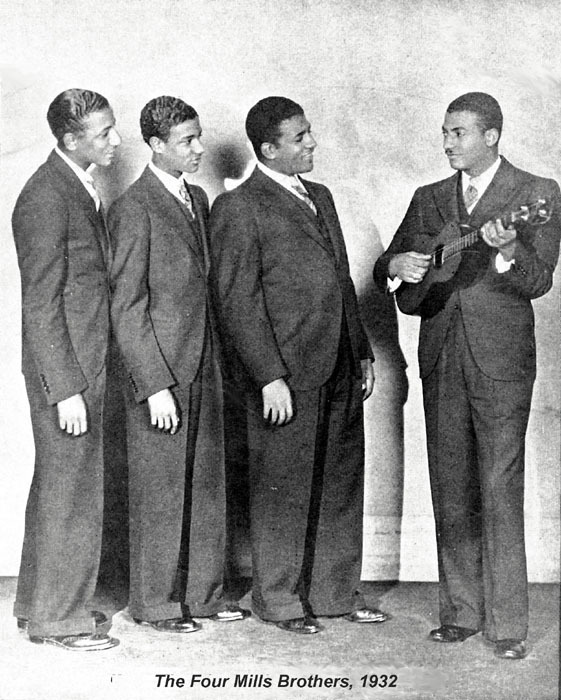 In the area between pop and jazz, the Hi-Lo’s, Singers Unlimited and the Four Freshmen developed intricate multivoiced harmonies, without significant innovation in the musical mindset. Most of these groups employed an unobtrusive rhythm section (piano, bass, drums) backing the voices in a melody-dominated homophony; i.e., all the voices moving together in block chords in unified rhythms, with one voice (often the highest) singing the melody. Then in the early 1980s, five Swedish music students influenced by the vocal virtuosity of Bobby McFerrin coined a new approach — singing the arrangement, with each of the voices singing a wholly different line from the others. They formed The Real Group and with their first album in 1987 invented a new musical language, a new mindset in vocal group singing. They leapedfrogged existing preconceptions of a cappella singing. Each of the members brought a technically impeccable voice, refined and precise in the uniquely muscular Scandinavian style. They invented a new music—not harmonies in block chords, but a complete vocal fabric, five voices only weaving a complex polyphonic whole, miraculously engaging arrangements. They invented vocal percussion, in which either the bass adds rhythmic vocalizations to his line, or the baritone or tenor provides a dedicated percussive voice. For the most part they employed no overtracking, no studio embellishments. What you hear in a live performance is what you get. The group was steeped in the traditions of both Swedish folk and classical jazz, as well as speaking the current pop vernacular. They sang Count Basie, the Great American Songbook, pop hits, traditional Swedish material, moving over the years to more and more original compositions. 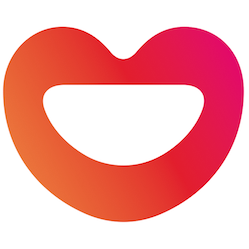 The Real Group achieved enough commercial popularity in Scandinavia (and inexplicably in South Korea) to enable them to work as a professional group full-time. They strove to disseminate their musical vision, teaching and workshopping and nurturing ties with other young groups. That missionary attitude and their accessible demeanor, together with the innate attractiveness of the music, gradually began to spread. Several other groups began to achieve artistic voice and commercial status, especially sextet Rajaton in Finland (from 2000, specializing in roots-oriented material) and quartet The Idea of North in Australia (from 1997, pop- and jazz-oriented). 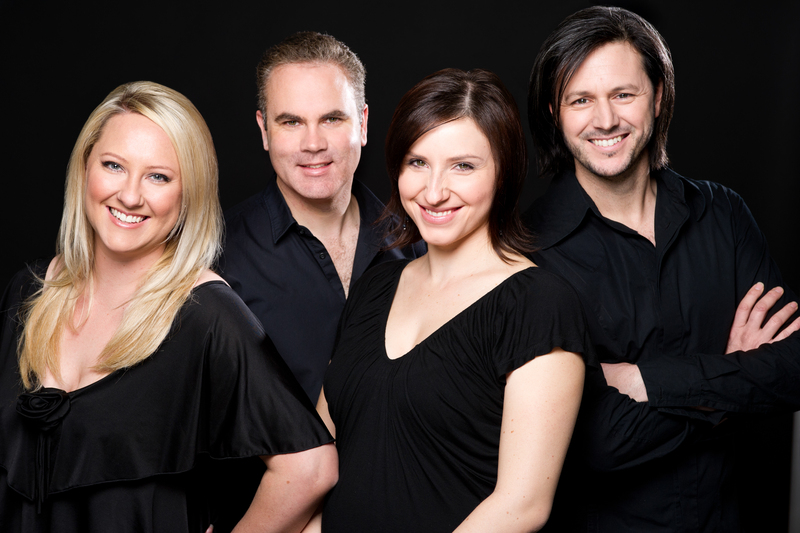 The Swingle Singers gradually moved stylistically into the New A Cappella mainstream. These four groups currently comprise the aristocracy of the fledgling genre, and are probably the only groups working professionally full-time. A new generation of younger professional groups is growing in number, stylistic diversity, artistic quality and influence, especially in Scandinavia. Some of the most notable are Kongero (folk-oriented female quartet) and Vocado (glacial art music) from Sweden; multifaceted Pust from Norway, and the rhythm choir Vocal Line from Denmark. The latter springs from the Rhythmic Music Conservatory in Aarhus, the only institution offering an academic program in the New A Cappella. Other notable professional groups from outside Scandinavia include Coco’s Lunch (Australia), Banda de Boca and BR6 (Brazil), Cadence (Canada), the Boxettes (England), Cluster and Neri Per Caso (Italy), the theatrical Cosmos (Latvia), the Perpetuum Jazzile choir with their 13-million hit clip (Slovenia), and Voco Novo (Taiwan). Throughout Europe, the number of amateur and semi-professional groups is growing daily. Singers are typically in their late 20s, with significant musical training and a strong drive for artistic excellence. Although most follow the musical model of The Real Group, the diversity of styles is expanding as well. Numerous individuals and groups are experimenting with looping, in which a singer typically records live onstage a series of overdubbed tracks, especially through figures (repeated elements, such as a basso continuo), thereby creating a polyphony fabricated in real time. An entire a cappella beat-boxing scene is developing (such as Roxorloops from Belgium). Both of these approaches are employed in the evolving ecappella style (Florian Städtler’s term). Practitioners include the Danish group Postyr Project. The hotbed of US a cappella activity is on campus, in the very active college AC scene. The music is disappointingly sophomoric, based on pop covers drawing from a limited reservoir of material. 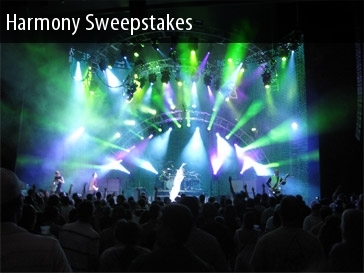 Participants are enthusiastic, and competitions (especially Harmony Sweepstakes) are well-attended, but the lasting effect is no more than a musical party. This is certainly due in part to the innate turnover in the groups’ personnel. The TV show “Glee” has purportedly helped alleviate the uncool image of a cappella singing. Inexplicably, the professional NAC scene in the US is as different from the rest of the world as 110 is from 220, but much less than half in quantity or quality. In fact, it hardly exists. Some of the leading groups are closer stylistically to music made in the 1950s than to The New A Cappella, such as Take 6, Naturally 7 and the Persuasions (gospel- and doowop-based) or Rockapella, the Nylons, the Bobs and M-pact (novelty pop). The New York Voices have achieved some stature but have failed to produce much significant music. Vox One made several accomplished and intriguing studio albums, the last in 2006. Additional groups work regionally, but have made no wider musical impact. The current virbrant scene of NAC seems to be inspired from two directions, both as a trickle-down effect from The Real Group and friends. But no less important is the fact that the music is challenging and fun to sing. Just as the professional scene breeds amateur activity, the amateur scene creates an interest in high-level accomplishment. It is interesting to note that all types of older a cappella – community choirs, barbershop quartets, college glee clubs – participate in competitions. These are often encouraged by conductors looking for a goal to inspire the singers to rehearse harder. The New A Cappella needs no such challenge. The young singers are typically well-trained and highly motivated. In addition, the tone of the scene is one of mutual admiration and encouragement. This attitude is openly promulgated by The Real Group. They spend much of their time and energy teaching. Founding member Peder Karlsson is now a ‘non-performing member of the group’, focusing full-time on expanding the activity of The Real Academy. Their approach is based on fostering self-esteem and positive reinforcement, and includes them embracing (literally and figuratively) groups of all degrees of achievement. This attitude in fact characterizes the entire professional scene and serves as a model for amateurs. The leading groups are all friends, they shun any sense of competition, and they openly encourage the activity of their equals and groups less experienced. In addition to the plethora of amateur groups and the growing number of professional groups, NAC festivals have become a central activity. The Real Group recently held their second major festival in Sweden (August, 2012) and plan another for the summer of 2014. A biannual festival is held in Aarhus, Denmark biannually. An festival is held in London. SoJam is held annually in N. Carolina in the US, as well as numerous regional events. An excellent summation of a whole new musical movement. And we live at the moment of it’s creation. Great job and some fine writing. Keep on singing, Jeff. Thank you Jeff for a highly informative article! 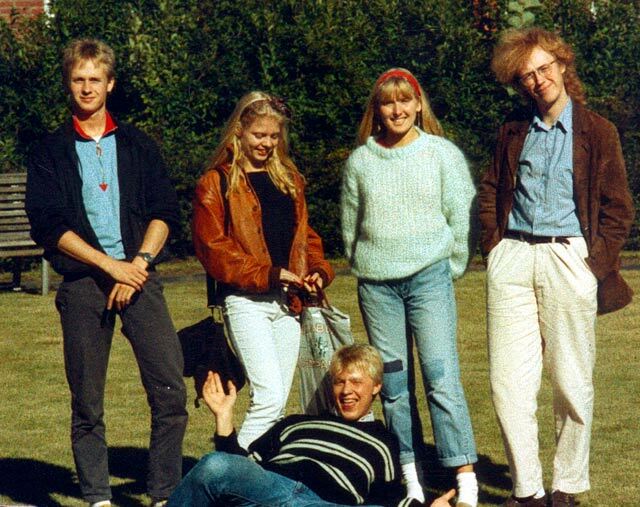 I’m gonna have to dig all the links present there… And that picture of the young Real Group! 80’s at their best! Interesting, I thought that not listening to the NAC groups for a while (3-4 yrs) would only cause me to be surprised by the OTHER GROUPS I do not know yet, which weirdly enough, were not bestowed upon me in this article. So, either one of those happened: 1) we talk about this every once in a while and fertilize each other with the groups we have discovered (mostly you have), or 2) Nothing siginificant has changed in the last 3-4 years, or 3) You want to write one more article on NAC and kept the surprises to yourself. Way to go Jeff, love your articles, as usual, thanks for the dedication perseverance and (good) taste. I’ll try and surprise you in our next NAC conversation. Well written article, but … Naturally 7’s style is closer to that of the 1950s? Really? I’d agree that the “NAC” scene in the US is smaller than Europe and other more arts-nurturing regions, but as far as the quality of the NAC scene here… you may want to visit your birthplace again and hear what’s happening. Groups like Sonos, The House Jacks, Overboard, Musae, The Exchange, Mo5aic, The Executive Board, and a little known group called “Pentatonix” are all redefining the art form. Unfortunately I wasn’t able to attend the TRGF last week, but I can tell you that most of your opinions here are correct, especially the path the A Cappella groups are crossing in the USA, one of the largest (if not THE) ACa markets in the world. However, I do believe there are things going on outside the mainstream places. In my on case, from covers of venezuelan pop and folk tunes and jazz standard arrangements, I’m beginning to explore what ‘a cappella vocal jazz’ must stands for, and this is my own new musical endeavour, that will be on the digital markets Sometime the next year with my mixed voice group Vocalia. Also, I’ve found some interesting examples on what’s on outside the box with some caribbean groups like Baylawa, and others like japanese’s Try-Tone and so mano others. I personally think A Cappella music is a glocalized trend that will not stop if all US singers tend to rely only on covers and console tricks. That’s a profoundly ignorant description of the US a cappella scene. You’d have been better off leaving it out entirely. Great article by the way, citing vocal groups like The Idea of North, Rajaton and NY Voices as well as Vocal Line. Great article – really informative but what about DooWop and you have missed out the brilliant UK group The Magnets. I first looked into all these names and missed some of the names I would have expected. 1. The Swingle Singers weren’t there where they are now without Les Double Six (http://en.wikipedia.org/wiki/Les_Double_Six) from France of which Ward Swingle was a member. 2. In the popscene I think The Beach Boys should also be mentioned, prior to CSN. 3. and 4. Based on old folk-oriënted uppertone singers like the singers from Tuva (Mongolia) and there are also uppertone singers in Sardinia, there is this “new” french group Ommm, http://www.myspace.com/music/player?sid=79033449&ac=now , listen to Groove.mp3 from 1.30. 6. 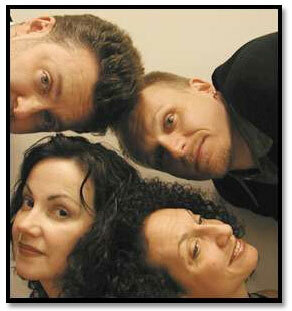 Improvisation based vocal group worth to mention and deriving from Bobby McFerrin, is The New Voxnorth from Denmark. I wonder what you think of these names. Thanks for your input. I’m very much aware of Les Double Six, but hardly know their music first hand. They’re at the very top of my shopping list. I’m a giant, giant Beach Boys fan. Yes, they certainly are vocally driven. Less than CS&N? More than The Four Seasons? I’d probably agree with you. I’ve written about a few other styles of a cappella music, including Mongolian, Bulgarian and Estonian. I promise to check out the links you sent–thanks very much! I love doo-wop, really I do. Wop. But isn’t it pretty much all the same? I have a 4-CD collection I keep meaning to listen to carefully, but… I sure wouldn’t mind it if some of the cool new groups tried their hand at doo-wop. I’ll certainly check out the Magnets, thanks. Please, correct me. Write me a 1- or 2- or 3-paragraph overview. Please! I don’t profess to know everything about the US scene, obviously, not by a long shot. In my defense, the CDs are pretty hard to find. I’ve heard good things about the House Jacks. All the other names are new to me. I’ll go searching on YouTube, unless you want to send links from there or elsewhere. Any suggestions as to where to find the material? The Nylons are Canadian, just for the record, but I’d hate to think what your thoughts on our A Cappella community in Canada would be, given your thoughts on America. @Jake–Some of my best friends are Canadians. 😉 Hey, Cadence? The Band? Joni Mitchell? (Oh, they’re not a cappella, are they?) Just don’t ask me what I think of Neil Young. Although the sometimes a cappella group Mint Juleps (the very first SoTW!! https://www.jmeshel.com//sotw-1-mint-juleps-dont-let-your-heart/) do a really nice cover of “Only Love Can Break Your Heart”. Wow, Jeff. This is such an interesting, well written article. I get inspired just reading it! Some new names to check as well.. thanks for that! I love the idea of trying to define this larger genre, but, oh brother… this history is pretty far off from one most Americans would recognize. The US collegiate scene in the early 80s BEFORE THE CREATION OF TRG, BEFORE CASA, BEFORE THE HOUSE JACKS, had all of the elements that we now associate with contemporary a cappella: pop, rock and jazz influences, regular vocal percussion noises, vocal imitation of horns, bass, guitars etc., the role of soloist and background, the whole thing. It wasn’t universal, but it was there, especially in the midwest. The Flying Pickets, The Nylons and Manhattan Transfer had hit records that had more to do with the 80s American scene than any of the other groups you mention. And of course everyone, everywhere had heard and been wowed by Bobby McFerrin by the 80s as well. The US educational system often had the same singers exposed to jazz, classical, pop and barbershop. Add in the commercial exposure of folk, R&B, classic rock and it’s easy to see where we came from. I was personally performing contemporary pop rock a cappella regularly by the summer of 1986 (initially in 1984, but not with too much regularity). I was touring the country full-time in a professional group, Blind Man’s Bluff performing only that style by 1991-2. I had never heard of the Real Group until perhaps 1993ish, and even then, after hearing them, did not associate their sound with ours. They, to American ears, would not have been contemporary a cappella, but rather vocal jazz, a brilliant outgrowth of the many jazz groups and jazz programs of study then already in existence at schools like Northwestern University, Western Michigan and others to name only a few. My influences then included Acme Vocals (who used vocal percussion and enhanced bass sounds very extensively) and The Four Guys Standing Around Singing who did largely original material. Both had truly huge careers -with perhaps more US commercial success than many other groups you mention above. The impact of the Nylons and the Bobs also can’t be overstated both for commercial success and originality. The Real Group are incredible! They have done so much so well. I adore them, as must anyone who appreciates vocal jazz, but they did not invent vocal jazz, vocal percussion or contemporary a cappella as this article implies; instead they added their own wonderful twists, their own creativity and their own originality to an already existing genre and exposed many more listeners to that virtuosity. Also, as an aside, SoJam is a great festival and should be linked to. But, it is not our first, biggest or most diverse a cappella festival. It is probably the most well attended among college students, although the Los Angeles A cappella Festival may now have SoJam beat in that regard. CASA-run festivals are heavily promoted and positively reviewed by CASA. That just makes financial sense. But some of the most exciting things in US a cappella aren’t CASA-related. You should expand your links to include AcappellaStock in Utah -the nations’ most well-attended contemporary festival (approximately 5,000 attendees). You should include SingStrong (singstrong.org) which is not a regional festival, but an international one -America’s most internationally and stylistically diverse contemporary a cappella festival. And you should link to smaller, up and coming festivals like Amplify, run by Liquid 5th. And -this is important- none of the festivals I just listed would be a good bet to hear a full weekend of Real Group-esque vocal jazz! Vocal Jazz festivals are separate and often take place with music educators conferences such as those in Michigan, Iowa, Colorado and Florida. 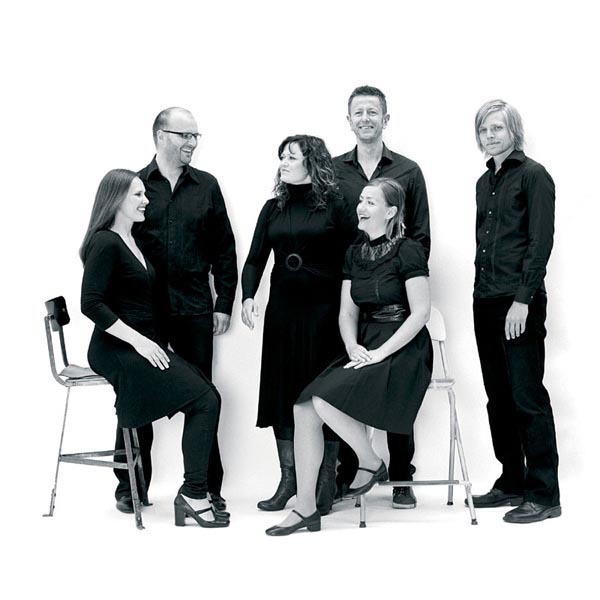 In Europe, the connection between vocal jazz, folk-world and the so-called “new acappella” is inextricable. That’s not the case in the US. Contemporary a cappella singers in the US draw their roots from doo-wop, rock, pop and R&B. This includes major label groups who released only small amounts of a cappella material such as Yes, Journey, Robbie Neville, the numerous boy bands, Boys to Men, Shai, Huey Lewis and the News, etc. Some of the comments note opinions about which of these genres (vocal jazz or contemporary) is better. That’s forever in the ear of the beholder. There is no universally accepted hierarchy of musicality -especially in the US. Is intonation more important than showmanship? It depends who you ask! And even in the same person, the answer may change over time. Over the last 20 some odd years, I have produced the live concerts of hundreds of performers from all over the world. There is just no tracking of technical musical elements with popularity among audiences here. And in today’s studio-trickery world, there is also no connection between the best recorded a cappella and the best performing groups. You have to go and hear groups live to judge that aspect, and listen to their recordings to judge that aspect. Never the twain shall meet. That’s part of why I am so determined to keep attending and promoting The Real Festival, The Aarhus Festival, the London Festival, SingStrong and others! That’s where the best perform! And speaking of a cappella reviews … I have one due at http://www.RARB.org so this admittedly long and rambling post now comes to an end! I’d suggest checking out any of the groups who have made the Finals of the International Championship of Collegiate A Cappella, held in New York each April. Collegiate groups such as Pitch Slapped, the USC SoCal VoCals and others are continually pushing the genre forward. Your ignorance of the collegiate scene in the U.S. is, frankly, completely appalling. Sara, I don’t think his ignorance of the collegiate scene in the U.S. is nearly as atrocious as the average American a cappella fan’s appalling ignorance of the brilliance and quality that is happening in European vocal music. I’ve heard Pitch Slapped and SoCal VoCals live and at their peak (at the ICCA finals in NY) and they simply don’t hold a candle to Real Group, Rajoton, FORK, Cluster, or dozens of other brilliant top-notch European acts. Yes, his history and overall impression of American a cappella is factually incorrect, and he obviously has a bias for “his” groups (which judging by a very limited range of international groups he mentions _and_ the amazing European groups he fails to mention means “his” groups are “the groups that he knows about”), but most of the American commenters above have an equal level of bias toward their own favorites, and are just as limited in the number of groups they actually know about and have heard. Comparing the SoCal VoCals to Fork and Cluster is like comparing a minivan to a sports car. They are two very different things, that serve very different roles. SoCal Vocals are a large format, collegiate a cappella group. Comparing them to pro-groups around the world is kind of silly. Bring Mosaic, Edge Effect, House Jacks, SONOS, Six Appeal, Pentatonix, Transit, Duwende, etc.. into the picture since they are actual professional groups, and then we can talk. There’s no ‘wrong way’ to sing a cappella.. it’s about what the PERFORMER gets out of it, nothing else. If the audience happens to be in the same room and enjoys it, then lucky for them. No need to put down thousands of groups and tens of thousands of people because they don’t fit into you neat little box. – Some of the facts and information in the article are fine, others are not and as you can see by the reactions (the Real Group did not invent vocal percussion, there are dozens if not hundreds professional a cappella groups around the globe, not just a handful, etc). – You introduce many theories & concepts in the article “they invented a new music”, first ones “singing an arrangement”, “Naturally 7 is closer to 50s music than to contemporary a cappella”, the idea of “homophonic (old a cappella) vs polyphonic (new a cappella) arrangements etc. Most of these are bold and debatable statements and I don’t feel like they are backed up here. – Your article contains quite a bit of personal opinion: “Dubious contribution to US a cappella”, “New York Voices have failed to produce much significant music”, “disappointingly sophomoric”, “musty folk music” are a few examples. While that’s fine for a blogpost, I suggest to refrain from adding personal opinion if you want to write universal, encyclopaedic article. – I don’t think that “all types of older a cappella participate in competitions” and that New A Cappella/TRG etc “shun all competition”. myself at Solevoci and at Vocalasia to name but a few) and hence endorse some level of competition. There are big competitions not just in North America but also in Europe and Asia – if you ever have been to Vokal Total in Graz.. it is absolutely massive, groups come from all over the world, the atmosphere is wonderful and one of sharing, and many professional ensembles take part in it: it is great exposure for them and the festival is a big celebration of a cappella ! competitiveness (“old” a cappella ) vs no competitiveness (“new a cappella”) and most people seem to agree that they have their place. I don’t share your dismissal of the american scene and its influence. Personally, I can say that I listened to the House Jacks, M-Pact, Take 6, Rockapella, Vox One and the likes throughout the 90s and they influenced and inspired me. Meeting M-Pact in 2001 was inspiring to the Swingle Singers. During the 90s and early 00s, most recorded a cappella music came from the US and the annual Primarily A Cappella Sampler was an essential record to listen to before the arrival of the internet and YouTube, all of which I would count as “new a cappella”. The scene there always had and still has a high level of organisation which the european and asian scene is only starting to develop. Hope my comments are helpful, but I’d suggest to talk to a variety of different people and do some thorough further research if you are intending to evolve the article. Tobias, I very much appreciate your input here, pointing out both factual errors and errors of appraisal. Your input is particularly helpful because you were a real player when things were forming. I will say in my defense that I’ve been scouting around among ‘the experts’ looking for collaborators for several years with little positive response. At least now an enthusiastic discussion is going on. I certainly have a lot more to study now, which I will definitely do. Of course I would adopt a different tone in a seriously objective article. I did write in the beginning “All distortions, misrepresentations, factual errors, sins of omission and commission (and I’m sure there are many) are mine and mine alone. I welcome your comments and corrections, and hope that this overview will evolve to a higher degree of accuracy and objectivity.” But it seems that a lot of people are taking it much more seriously than that disclaimer would indicate. I hope you realize that I am in fact attempting to perform a service to the AC community. At least something is written now, even if it’s flawed. Hopefully, I’ll be able to improve it. The more help I get from key players like yourself, the better are the chances of the article achieving a consensus overview. I warmly welcome you to visit us for any number of American a cappella festivals. As CASA’s director of events, I’ll allow for perceived bias, but in addition to the many other festivals organized throughout the country, CASA now sponsors 5 (and growing) major events each year, many of which have a strong international component in both talent and instructors. SoJam is not our only event. We’d love to see you attend VoCAL Nation, BOSS, LAAF or ACappella Fest. As a producer my goal is to broaden horizons and encourage our up and coming stars to be creative, push limits and go beyond basic chords and covers. To say that sophomoric covers by academic groups defines the US a cappella scene is simply uninformed. Does it exist? Of course! But to judge our professional community based on the large pool of amateurs that also enjoy the artform is a silly comparison. And we will continue to grow. After a wonderful trip to LACF in January I am looking forward to more inspirational a community building visits. 1. The “American” scene, the “American” way, bla bla bla. Very few American a capella groups have attained international recognition, as the MARKET in the US is big enough, and their PRODUCT is market-directed. This is true of Brazilian, German, French and all other “big” countries out there. But on European nations that are too small to be considered “markets” there is need to reach an international audience. Their MUSIC is more likely to reach the “world” than American-oriented. Compare M-pact youtube presence with the voca people one… No wonder the American acapella scene is so poorly known outside the US !!! 2) Vocal jazz (Thanks Jonathan) as a “branch” of acapella… nice idea.